Successfully Added 7.0 Inch Roof Mount TFT-LCD Monitor to your Shopping Cart. Incredibly large roof mounted 7 Inch TFT-LCD screen for getting huge movie quality images as you drive. 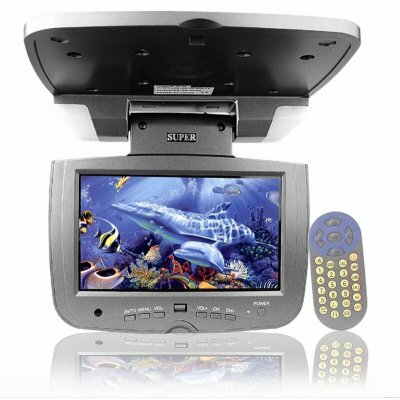 A great car video accessory, this roof mount screen features 2 AV IN for connecting different video devices to the screen, including DVD players or video game player, a large built in .2W speaker for great sound, and PAL color systems analog TV receiver for watching your favorite TV programs. A great wholesale price along with great functions make this a car ceiling monitor perfect for anyone, whether for themselves or for resale. Note: The TV tuner only receives PAL broadcasts. Please note your area's analog reception before you purchase this item..